When Newground was approached to design a block of flats on a small corner site, we looked at a range of options. 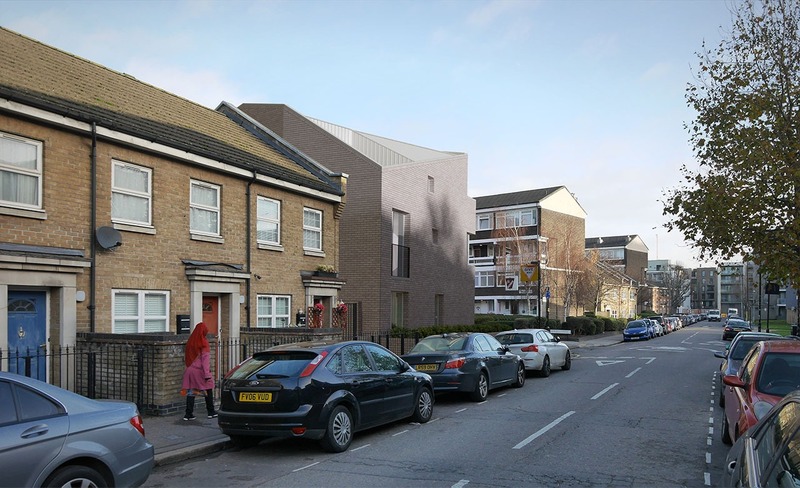 We opted for a contemporary terrace of houses to address the shortage of family homes in the borough after our feasibility exercise demonstrated that the site could accommodate the same number of bed spaces in five houses as in eight 1 and 2-bedroom flats. 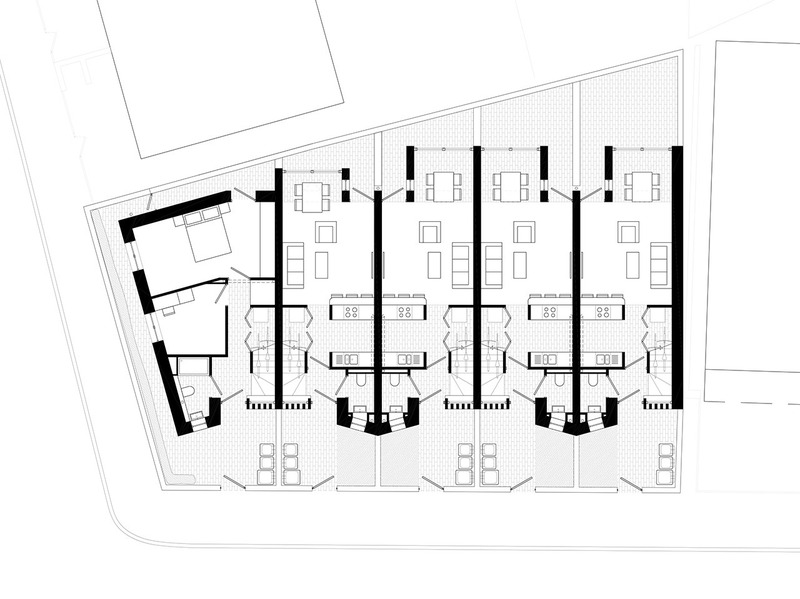 The form of the proposed terrace mediates between an existing 5-storey block of flats to the north on the longer of the two street frontages and 2-storey houses around the corner to the west. 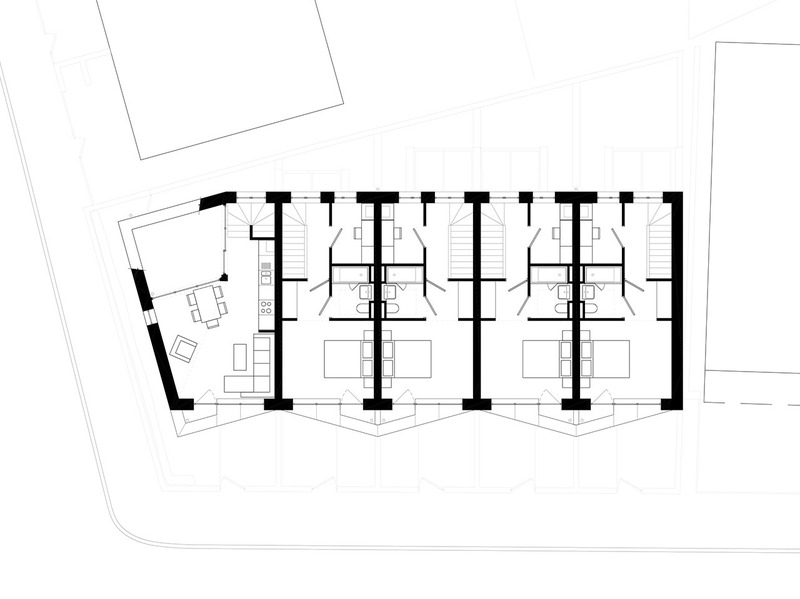 The plan and elevations allude to one another with double height bays and gable parapet walls distinguishing the individual houses within the terrace. 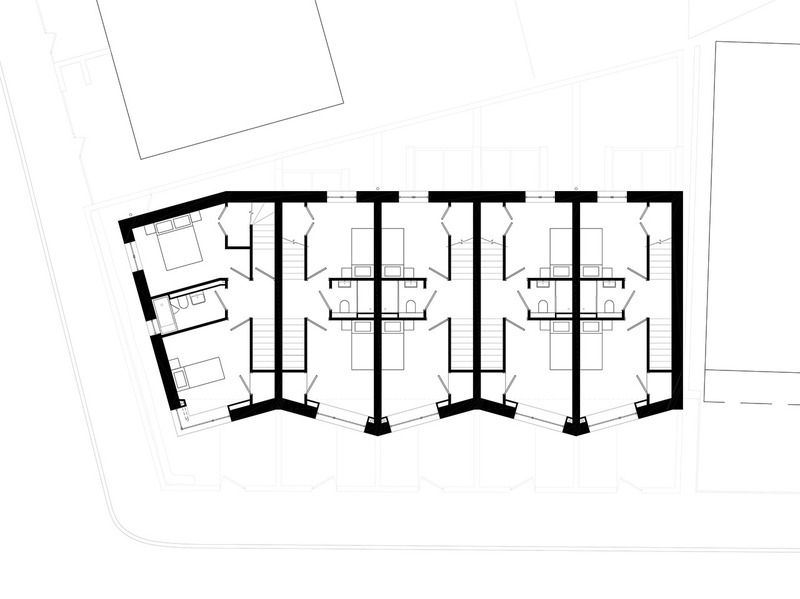 Four of the houses have identical layouts with rear patio gardens while the corner house has a unique plan with main living space and a private terrace on the top level. Newground is developing information for construction, which is due to start on site in autumn 2019.